He was a dork, but a good person at heart. It's getting to be that time of year. Around the holidays, I reminisce a lot. I think about how the holidays were when I was growing up. I think about the excitement of being a child. I think about the people I knew in what seems like another lifetime. And there is no way to think about people without thinking about goofy neighbors, like Chuck The Dork. Chuck was not your average dork. 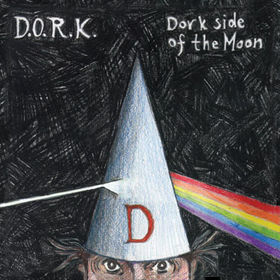 He was a D. O. R. K. kind of dork. Before tattoos became popular, Chuck work the D.O.R.K. label quite royally. It was hard to find anyone who superseded Chuck. First, there was the issue of his name. We never called him Chuck. We called him Chuckles; and so did his parents. The story goes that in first grade they told him to put Chuck on his papers. In second grade, he was told to put Charles. In third grade, without instruction, he put Chuckles. And that's what stuck. Chuckles was a transplant to our neighborhood. He moved in with his parents, two doors down when I was in the 7th grade. Everything about Chuckles was weird. Because their family moved a lot, he had been held back twice. So, we were only a grade apart, but he was three years older than me. It was kinda strange having an 8th grader who had to shave every day. Chuckles had a dork voice, a tall, thin, yet muscular, dork body and a dork head with black-rimmed spectacles and bushy brown hair. Everything about him just reeked dork. And he never did anything normal. I never saw him exit his house through his front door. He always jumped out of his bedroom window, which was fortunately on the ground level. In fact, to summons Chuckles for some street football or whatever we were up to, we went to his bedroom window and knocked. He'd yell to his mother that he was leaving and she'd yell back, "Bye Chuckles," and he'd hop out of the window. Chuckles stood out in the neighborhood because he was taller than his peers and much more muscular. He also called all the father's by their first name, "Hey Lou, Hi Bob, What's up Frank?" We were all in shock. You never did that. He never ate normal meals either. I'd be at the front door talking to his mother and ask her what Chuckles was eating for dinner, "Oh, two loafs of bread." Another time, "Seven ears of corn." He always seemed to eat a lot of one thing, and nothing else. Then, Chuckles made the junior high football team. He brought the entire uniform home, pads and all; suited up and paraded around the neighborhood for an entire weekend. He never took it off - helmet, pads, nothing. I knocked on his window and he was laying in bed with the uniform on, like he was wearing batman pajamas. Dork. His bicycle was even weird. He assembled it out of junk parts. The wheels were two different sizes. He had chopper style handlebars, and a banana seat. His claim to fame was he could ride the entire length of our street doing a wheelie. He did wheelies everywhere. One day, I was in the car with my mother and we were at a light on Euclid Ave., a five-lane major street with a lot of traffic. Chuckles was crossing at the light. He tried to do a wheelie and the chain fell off his bike and he crashed in the middle of the intersection. Traffic was stopped for a few minutes while someone helped him to the curb. Dork. Chuckles liked me and tried to do whatever I did. I mowed the next door neighbor's lawn, which was next to Chuckles' house. I would mow the grass, dump the clippings in a pile and then put them in cans, raking up the loose clippings at the end. Chuckles tried to outdo me. He did everything the same until the final raking. I hear this noise that I don't normally hear outside. When I looked over, Chuckles had his mother's vacuum cleaner and he was vacuuming the lawn. Seriously. Dork. The dork was a good friend, though. He was always around. We played until he got hurt, which was quite regularly. But he was always there. I wonder where he is now. He's probably a CEO on Wall Street or a Congressman. Rich Dork. Chuckles was just one of those memories you could never shake. But it's good to think about that tall, bristle chinned 8th grader and picture him in his football uniform in bed. Even though he was a goofy neighbor, I wish Chuck The Dork - renamed Chuckles - well. I hope he scored a touchdown in his dreams.